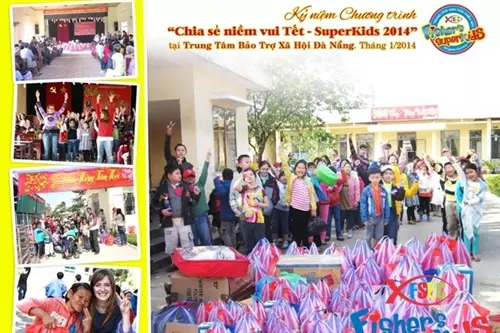 The students of Fisher’s SuperKids English Center visited children from the Center for Victims of Agent Orange. It was a deeply moving experience for all our students and staff to see the realities of how Agent Orange affected the youth of today. 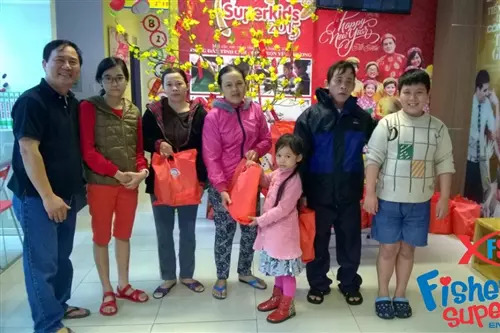 The children at the center welcomed SuperKids with big smiles and open arms as we had the opportunity to bring them special gift bags. 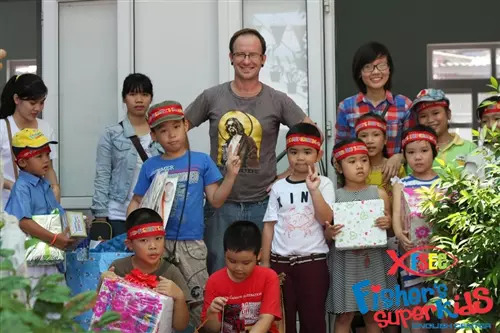 It was touching to see the joy and fun our students experienced when they made friends with the children. 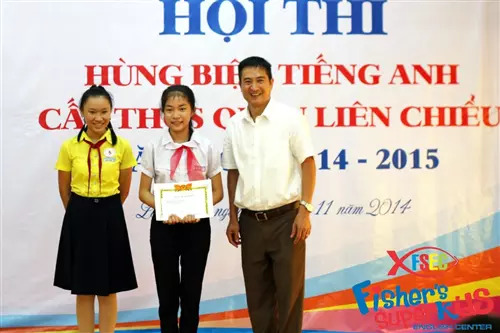 Fisher’s SuperKids contributed a small part form the sales they made at the Han Market to make this outreach possible. 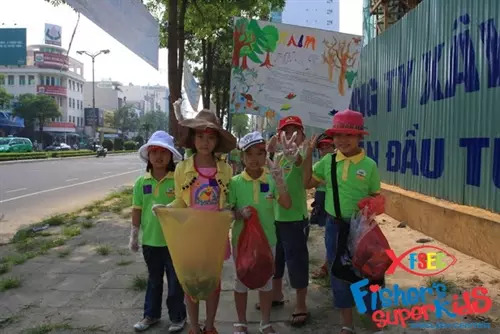 Fisher’s SuperKids believes that we all have a responsibility to reach out to the local community in small ways to make a difference. Through this event, we are grateful to have given our students the opportunity to broaden their worldview about the reality of life. 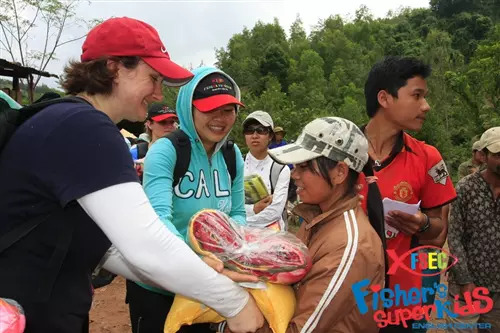 As part of our 6 core values, we want to share care and love with people from difficult circumstances. FSEC would like to thank the parents and staff members who graciously contributed their gifts and time to support this event. We are looking forward to reach out again to this center in the future.